With a stay at Grand Beach Hotel in Miami Beach (Mid Beach), you'll be a 3-minute drive from Miami Beach Boardwalk and 6 minutes from Miami Beach Convention Center. 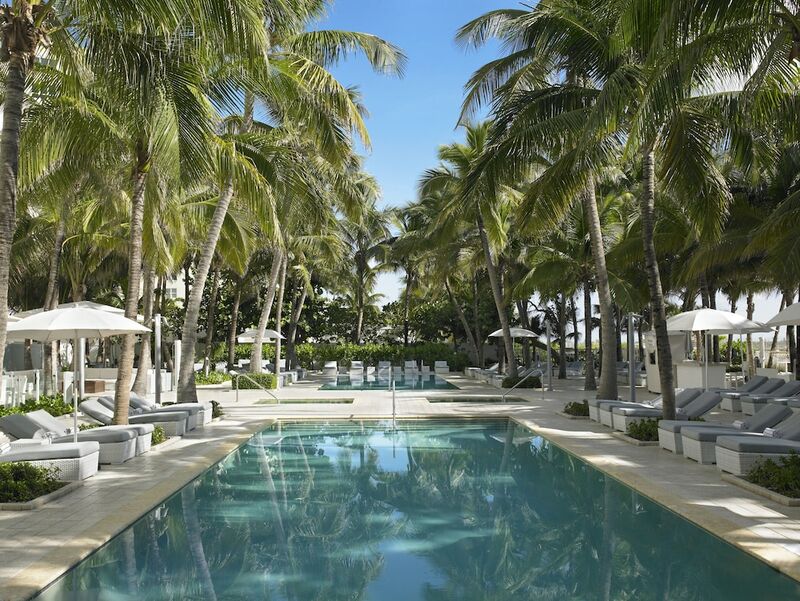 This 4-star hotel is 2.8 mi (4.6 km) from Collins Avenue Shopping Area and 3.4 mi (5.4 km) from Lincoln Road Mall. Make yourself at home in one of the 430 guestrooms featuring refrigerators. This hotel has 20 floors in 1 building and offers bellhop services. Recreational activities include ecotours nearby, golf lessons nearby, and segway rentals nearby. You can enjoy a meal at Chez Gaston serving the guests of Grand Beach Hotel, or stop in at the snack bar/deli. Buffet breakfasts are available daily from 7 AM to 11:00 AM for a fee. Grand Beach Hotel features 4 spa tubs. The hotel offers a restaurant and a snack bar/deli. A business center is on site at this 4-star property. Public areas are equipped with complimentary wired and wireless Internet access. This beach hotel also offers coffee/tea in a common area, express check-out, and a porter/bellhop. Onsite parking is available (surcharge). Buffet breakfasts are available for a surcharge and are served each morning between 7 AM and 11:00 AM. Chez Gaston - This restaurant serves breakfast, lunch, and dinner. Guests can enjoy drinks at the bar. 4 spa tubs are on site. This hotel reserves the right at any time after booking to place a credit card authorization for 1 night room and tax for any bookings where payment for the stay will be made on site instead of at the time of booking. For more details, please contact the property using the information on the reservation confirmation received after booking.